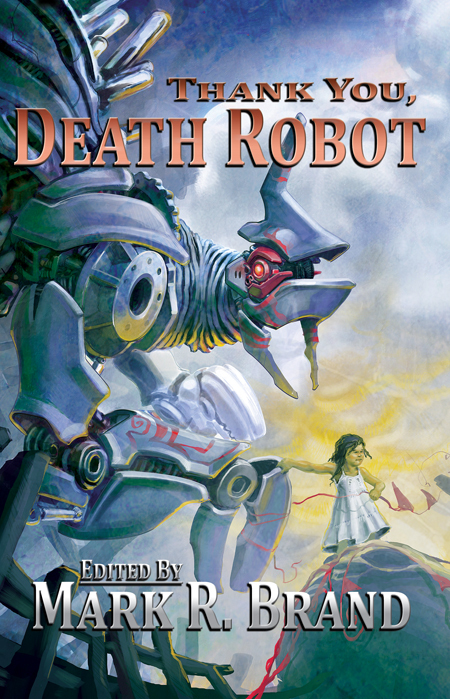 Mark R. Brand: Thank You, Death Robot is here!! Thank You, Death Robot is here!! To everyone whose stories appear in it, thank you endlessly for your patience and your perseverance with this project. Every story in it is a winner and I'm thrilled with the final product. Special thanks to Len Nicholas for the terrific cover and to Vic Giannini for letting me use his title for the book.